Workshop Space - Benvenuti su poggiodisole! Relax between land and sea! You are pampered by the breath of the sea and the rural peace of the countryside. 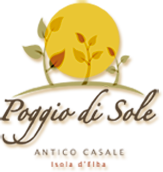 Poggio di Sole is a cozy and intimate place, ideal for your internships and residential seminars. It is located in Lacona, in the town of Capoliveri, on the southern side of the island that ensures a particularly mild microclimate even in winter. Typical Tuscan Farmhouse built entirely in stone, restored with natural and environmentally friendly techniques and materials to offer you every comfort in respect of nature. Immersed in the greenery of olive trees and secular maritime pines under whose shade you can relax and practice holistic discipline. ROOM YURTA: Typical tent of Mongolia, where to can feel a pumpering & relaxing atmosphere. MANDALA AREA: The great Mandala overlooking the sea, to practice immersed in nature. A large circle surrounded by Mediterranean nature. RELAXATION PLATFORM: Breathtaking views over the hills and the sea, where you can practice or just relax in the hot water of the jacuzzi. The Farmhouse is divided into 5 apartments furnished with solid chestnut furniture, like the traditional style of the rural dwellings of the Tuscan countryside. Each accommodation is equipped with an independent entrance, well-equipped kitchenette, TV, heating panels, bathroom with shower, porch or outdoor pergola. Opportunity to cook or to bring an outside chef to be independent. Groups of up to 15 people. Each apartment, totally refurbished, can be shared by two or three people, maintaining high levels of comfort and personal space. The kitchen and the common dining room are bright and equipped. The kitchen is given in self-management. On Request for groups and/or events we have a cook specializing in the "kitchen of the 5 elements", and adapts to the needs of the group (vegan or vegetarian). It's a magical and relaxing place where nature supports you. Completely exposed to the sun, the temperature is mild all year round. You can listen to the birdsong and the scent of the sea. Ideal Location for trainings, yoga retreats, Qi Gong, Tai Ji Quan, holistic disciplines, massage courses, writing courses…. Capacity: For corporeal practices maximum 12 persons. For training Courses up to 25. Capacity: For corporeal practices maximum 50 persons.